Exit off I-10 at exit #130. Take Bob Hope Dr. South. Don't turn at the main entrance into the Casino. Instead, take the first left turn AFTER the traffic signal (the main entrance). This turn isn't marked, but takes you directly to the RV Parking area. There are signs at the entrance to the RV Parking area. DO NOT go into the Casino main entrance with a RV. 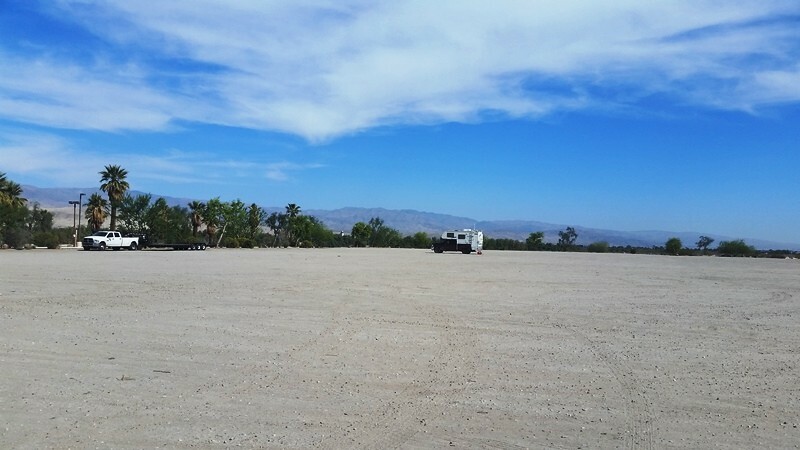 Large gravel area marked for RV parking. "YOU CAN NOT STAY OVERNIGHT"
'YOU CAN NOT STAY OVERNIGHT IN YOUR RV IN OUR LOT". 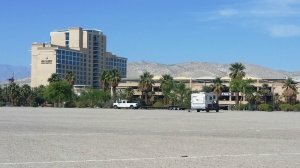 Was going to stay overnight so pulled into the "24 hour RV Truck" parking area behind the casino. Went inside to check in with Security. The Security person at the desk was very specific when he issued the above statement. When we questioned him we were told "In order to leave your RV in the lot you must have a hotel room- you can not sleep overnight in the RV". And he was not very polite about the manner in which he gave us the info... Also we noticed that there were several rigs scattered around the edge of the lot who had obviously been set up for more than 24 hours. 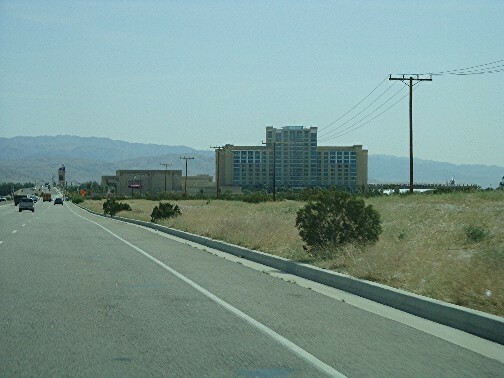 We left and went down the highway to Fantasy Springs- parked(overnight), ate , drank and gambled in their casino. Overnight RV Parking IS Allowed Again! Stopped by the casino to check on RV Parking. There has been MAJOR changes! There's a new, large, well marked RV Parking area just East of the Casino. It's a large gravel lot. Overnight RV Parking IS allowed for 24 hours (maybe longer). Check in with security. 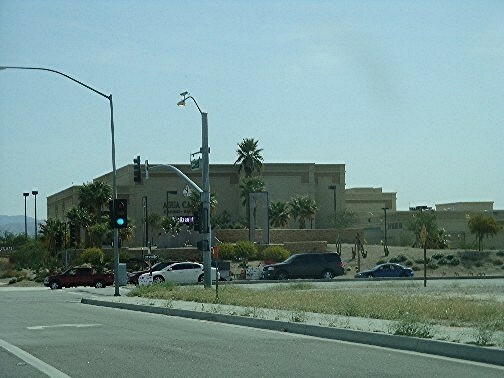 This is one casino we hadn't visited when we were previously in the Palm Springs area. Not much had been written about it so we had to check it out. We stopped by to pick up our new Player's Cards. They offer no free $$$ to sign up for their card. The casino itself is HUGE. There are many different slot machines but we didn't recognize any of our favorites. Now we didn't walk over the entire casino but we looked around at some of the slot machines and, of course, tried a few. We thought they were extremely tight. Just to be sure we also stopped to check at Security about RV parking. The gentleman was adamant in that they do not allow it. We were impressed with the size and openness of the casino but that was about it. It's also a huge hotel and spa and they bring in a lot of entertainment. Overall our thoughts are if you're going to stop and visit a casino in your RV, go on down the road to the Fantasy Springs or Spotlight 29. Been there, done that. Now we don't need to go back to this one.